These applique pins are fabulous for working on wool appliqué and with prefelts. 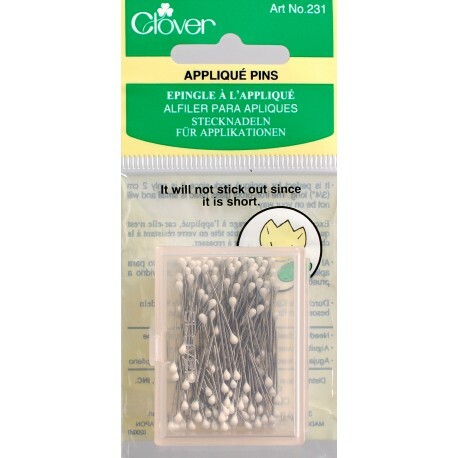 These small pins hold wool pieces secure, in place, and flat; creating a flush, easy surface to work around. Made in Japan, 2.00 cm long, white heads.